This off-season I plan on creating a full update of our images folder. While in the past I have updated uniforms and logos through requests, the results have mainly been geared towards the site. I have not done a great job in the past with regards to images when it comes to properly renaming files in order for them to load automatically when being downloaded. My intentions are to find high-quality and OOTP usable images and what not for our league this off-season. The obvious one being, you are once again free to request (within reason) for updates/your choice on MLB logos as well as uniform/hat combos & choices. Here are the poster of hats/uniforms for you to mix and match from. I am open to created content if you are familiar with the OOTP Jersey Maker. If you have ideas you would like to use based upon real jerseys, let me know and we can see what we can come up with together. Rebranding graphics on Google are potential options as well, feel free to discuss what you see with me if you see something you like. In addition to Google, SportsLogos offers come interesting conceptual graphics. In addition to MLB logos and uniforms, I am also willing this off-season to delve into updating minor-league logos and uniforms. While I am unfamiliar of any poster like database of minor-league options, I can grab any file within OOTP16, 18, or 19 with regards to minor-league graphics. Team locations that do not make sense with the league the team is in. As always, there is no requirement to make any changes at all. This is 100% optional. 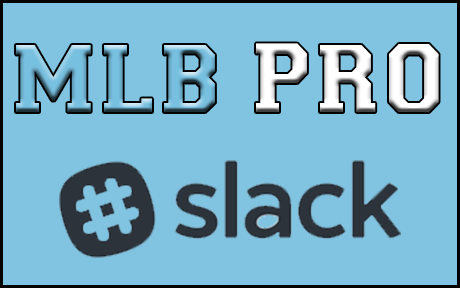 If you have any questions do not hesitate to send me a PM on Slack. If you have changes you want made to anything graphically related, PM me on Slack with your selections or links to material.